Event Notification: All classes today and tomorrow (Nov. 15-16th) are cancelled due to air quality. Read the announcement. We’re students, teachers, and mentors headquartered in the most innovative place on earth: Silicon Valley. Different people flourish here. 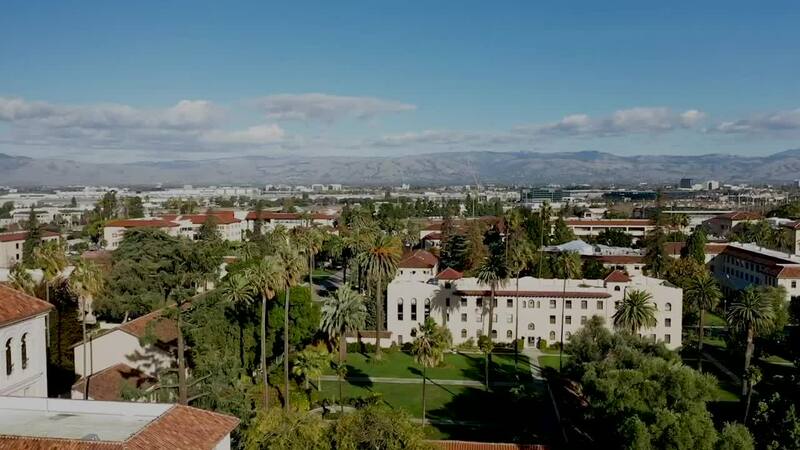 Santa Clara University people—with their gifts and goals—driven to build a better, kinder, more humane, and sustainable planet. We come from all walks of life. We travel seas, coasts, highways, and city blocks to call SCU home. And when we're together, home is exactly what this place feels like. Are Americans ready for autonomous cars? They have been ready for more than a century, says professor of insurance law Robert W. Peterson. On a visit to the Mission Campus, oceanographer Sylvia Earle and Autodesk Explorer-in-Residence Jonathan Knowles stressed that Earth needs everyone to be an active advocate on its behalf. March 8, 2016 (12:00): Read FAQ's regarding the second dose of the Bexsero® vaccine. Blye Pagon Faust ’97, co-producer of the movie Spotlight, wins an Oscar for Best Picture at the 88th Academy Awards. The Silicon Valley Business Journal catches up on social entrepreneurship in a Q&A with Miller Center's Thane Kreiner.